Solar Light Company, Inc. provides Accelerated UV Testing of Materials services, for both indoor & outdoor exposure, using either xenon arc sources or fluorescent sources of several types. 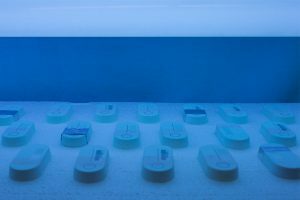 Our lab can expose your samples to UV, simulating a year’s worth of sunlight in just a few days. We can expose plastics, paints, coatings, textiles, papers, and other materials to UV light to test how they will stand up to years of abuse. 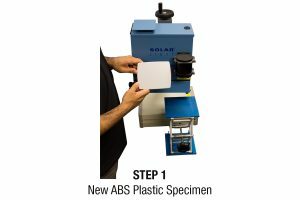 Using only state of the art Solar Light Solar Simulators, we customize a testing regimen specifically for each’s customer’s unique requirements, and the accelerated life testing will objectively show how a material reacts to long term sunlight exposure. We have decades of experience in such testing, and are the first choice for the most demanding clients in Aerospace, Automotive, Medical, Fashion, Furniture, and dozens of other industries worldwide. Solar Light Company, Inc. provides Accelerated Indoor Light Testing services for indoor exposure of items such as medical packaging and disposables, plastics (including vinyls, PE, ABS, acrylics, polycarbonates, PET, HIPS, and other synthetic materials,) paints, coatings, textiles, inks, dyes, papers (including cardboards and wallpapers,) and any other materials which are subject to degradation inside. Our state of the art laboratory uses fluorescent sources of several types, depending on the customer’s unique requirements. In many cases, we can expose samples to a year’s worth of interior lighting conditions in only a few days, objectively determining how a material reacts to those long term lighting conditions.